Windseeker is a swing ride in International Festival at Canada's Wonderland. While it's not the best, it is also recommended. The minimum height to ride is 48 inches. 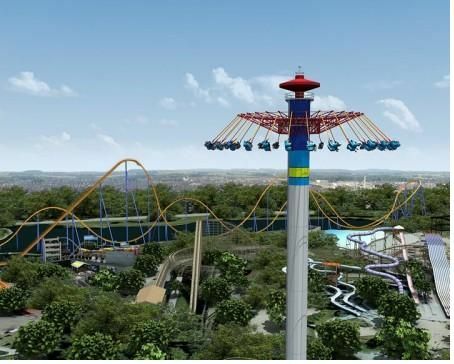 Think of a two-seater waveswinger ride, mounted on a 300-foot tower. That's Windseeker, a $5 million ride from Dutch manufacturer Mondial.